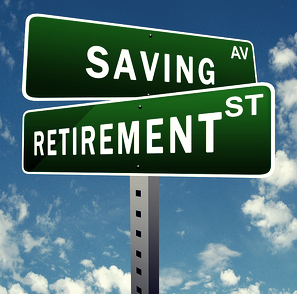 Have Your Needs Changed Now That You’re Retired? Now that you’ve worked for years, you may look back with bittersweet memories of your retirement parties, but you’re also now enjoying all of those “I will when I retire” promises you made to yourself. Have you considered that your estate plan may need to be revised? You might be surprised and what you needed yesterday may be far different than your needs today. Illnesses, injuries and accidents happen. Grandbabies are born and kids graduate college. It can all affect your long term plans. Does your family know your expectations? If not, a conversation can quickly become a confrontation. It’s enough to divide a family during the one time it should be coming together. Have you reviewed your health care documents? If you’ve not created them or if it’s been awhile since you reviewed the contents, now’s a great time to schedule a bit of time with your estate planning attorney. A living will: This lets both medical professionals and your family know the treatments you want to receive or refuse, and under what conditions. This will only go into effect if you meet specific medical criteria and are unable to make decisions for yourself. A health care power of attorney: This important legal document allows you to name a spouse, trusted family member or friend to make health care decisions for you if you are unable to do so. This document is also referred to as a health care proxy, appointment of a health care agent or durable power of attorney for health care. You may have heard of a letter of instruction. This document provides specific instructions as well as memorializes any special requests you’d like to be carried out. This can include plans for a funeral and names of people to contact. It also should include important phone numbers, such as your employer and your insurance agent or broker. Remember, it never happened if it’s not properly memorialized in writing. This is why meeting your estate planning attorney can provide peace of mind; he knows the process and he understands the importance of properly preparing and filing the documents. Remember, laws change and whether you’re still working or are now retired, the importance of staying current is crucial. Be sure to notify those in your “need to know” circle that you’ve revised your plans. You may want to explain what and why you’ve made certain decisions. You might even wish to give them a copy of your documents and have your doctor put one in your permanent medical record. Finally, don’t forget to review those very important legal documents from time to time. Dynamics change, life happens and circumstances are forever altered. To learn more about estate planning and ensuring your documents are current with your life and ever-changing laws, contact our offices today. We invite you to attend one of our monthly seminars, too. These invaluable tools can go a long way in protecting your future. We can help put a plan in place that will provide peace of mind so that you can get back to the business of enjoying retirement.